Headaches may be an issue of the past. A new electronic transcutaneous electrical nerve stimulation (TENS) medical device designed to alleviate pain from migraine headaches was recently approved by the U.S. Food and Drug Administration. On Tuesday, the device, manufactured by Cefaly Technology of Belgium and marketed under the name Cefaly, became the first of its kind to ever receive approval. The Food and Drug Administration describes the recently approved device as a “portable, battery-powered, prescription device that resembles a plastic headband worn across the forehead and atop the ears.” Using self-adhesive electrodes, Cefaly applies an electrical current to the skin. The current, which triggers a tingling sensation in the user, stimulates the trigeminal nerve, a nerve located at the front of the head which has been identified as being linked to migraines. Researchers found that the device, which was tested in a recent Belgian clinical study, did not prevent migraines completely or reduce the pain of already occurring migraines, but that it did successfully reduce the frequency of migraine occurrence in individuals who suffered from chronic migraines. Following the study, a subsequent customer satisfaction survey found that more than half of the 2,300 users of Cefaly in France and Belgium experienced a reduction in migraine frequency, while others commented that they found the device uncomfortable and that it failed to yield a reduction in migraine occurrence. 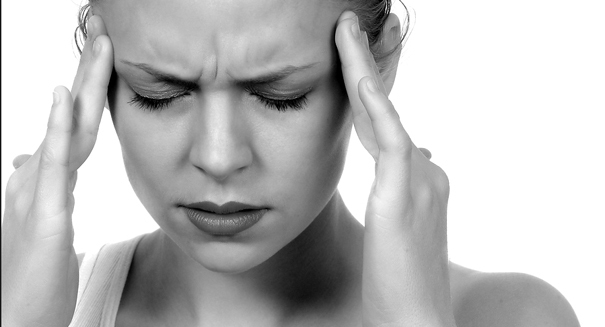 Migraine headaches currently affect 10 percent of the population, causing people to suffer from symptoms such as throbbing head pain and nausea, as well as severe sensitivity to light and sound. For many migraine sufferers, oral medications can help reduce the intensity and frequency of migraines, but for many, these same oral medications are not an option, due to side effects and other conditions. In a statement made by Christy Foreman, director of the Office of Device Evaluation at the Food and Drug Administration, Foreman explained that Cefaly will serve as alternative to more traditional types of migraine medications, hopefully alleviating the occurrence of migraines in many migraine sufferers.